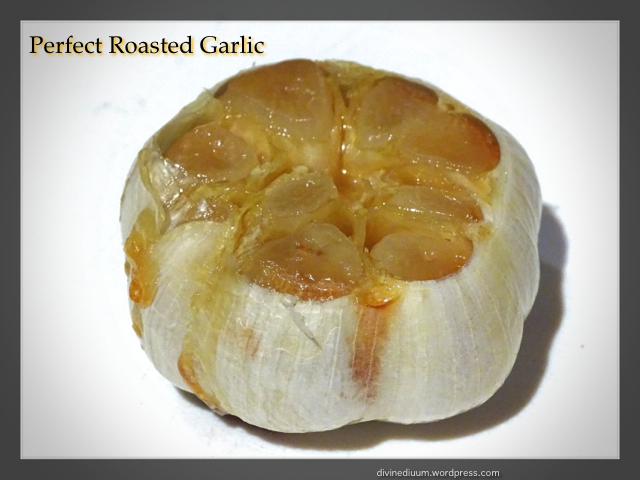 If you don’t like the bite of fresh garlic but you enjoy the taste, roasting garlic is the solution. It is so simple to do and has a multitude of uses: pasta sauces, dips, mashed potatoes, salad dressings. . .or anything your mind can come up with. You can try out some of these ideas from The Wicked Noodle too. 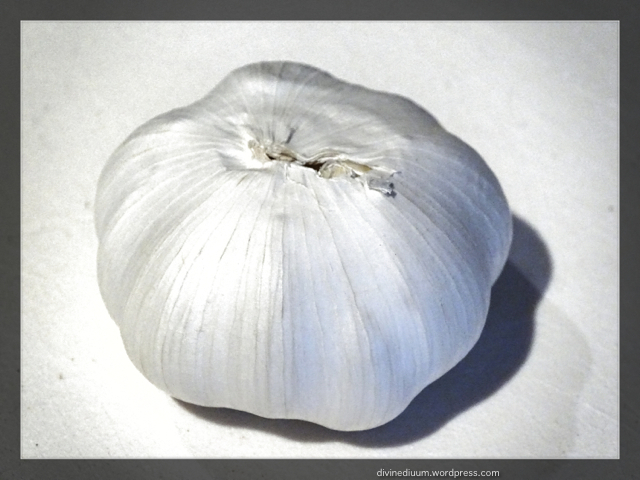 Slice the top of the garlic and remove any excess garlic skin so you are left with a nice, clean bulb. Place the garlic, cut side up, in a ramekin. Drizzle the top with olive oil and cover with aluminum foil. You do not need to fire up your oven as this is such a small thing. I do mine in my toaster oven and it turns out perfect every time. You will need to watch the time though as different toaster ovens may cook at different strengths. Bake at 400º for 60 minutes and you will have caramelized garlic. 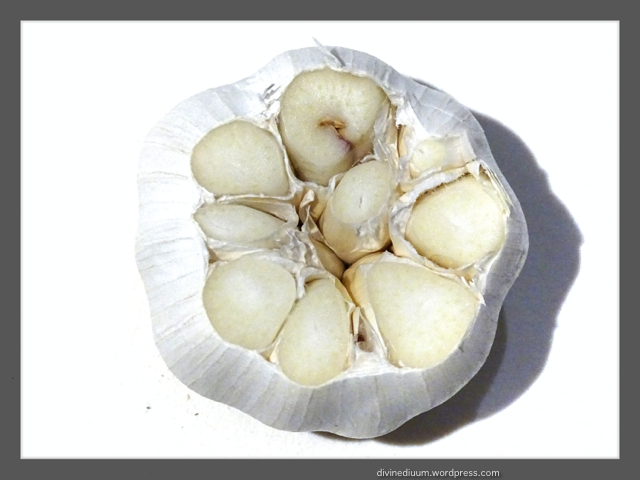 Once it has cooled you can remove the garlic by squeezing at the base. The golden, roasted garlic will be soft and pop right out. 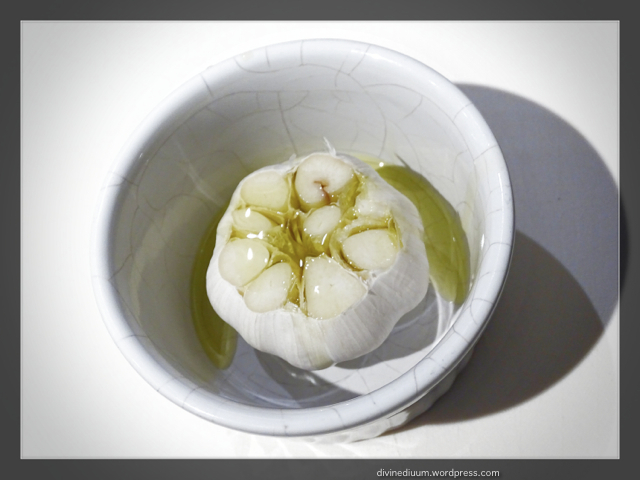 If you are using it as a condiment, as in my antipasti platter, leave the garlic bulb in tact for serving. It adds to the aesthetics on the plate. 2. Slice a bit of the top of the garlic bulb. 3. 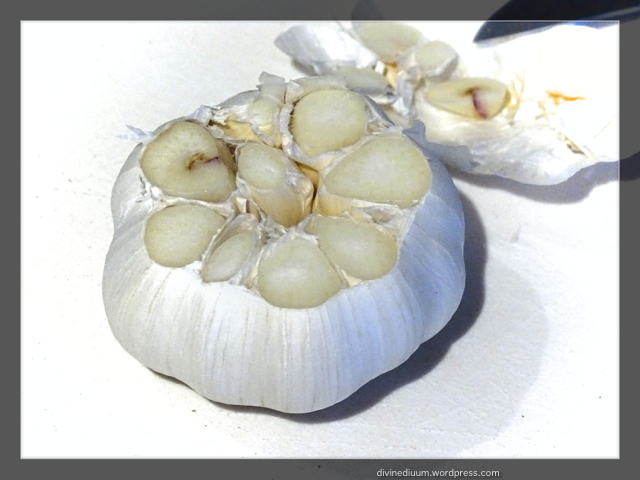 Place garlic bulb, cut side up, in a small ramekin. 4. Drizzle olive oil over garlic. 5. Cover ramekin tightly with aluminum. 7. Remove and let cool before handling.